To ensure the solutions we propose and implement are sustained by the people who will use them, involving end users early and often is critical. We all know that without active collaboration and involvement of the actual end user during early stages of solution identification and design, we minimize our chances of success. End user involvement is critical in understanding what the user does, what they need, and how to create a sense of ownership that is crucial to the success of any initiative. Realizing the importance of end user involvement from the BID Initiative’s inception, we established the User Advisory Group (UAG) to play a critical role in the design, fine-tuning, and prioritization of proposed solutions and interventions that aim to improve immunization data quality and use. The BID Initiative aims to address the various challenges identified by the Immunization and Vaccine Development (IVD) program (a department of Tanzania’s Ministry of Health and Social Welfare) and other stakeholders. The UAG will partner with BID to provide valuable input and feedback that will strengthen our solutions and prioritize which set of solutions to roll out across all health facilities in the region, and eventually across the country. The UAG provides an opportunity for users to get involved in the planning and decision-making processes at an earlier stage and a more strategic level. It offers enthusiastic and committed members a unique opportunity to represent the needs and views of users in discussions about identified solutions and interventions. 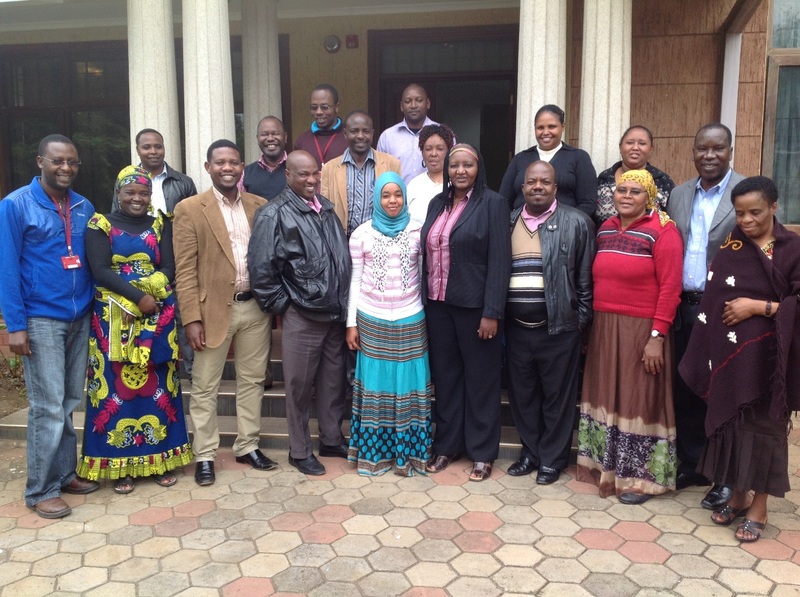 Members of the UAG are from all levels of the health system in the BID Initiative’s Arusha testing region. The group is co-chaired by Mr. Azizi Sheshe the Arusha Regional Immunization and Vaccine Officer (RIVO) and the BID Initiative’s Zonal Coordinator, Mr. Singwa Kahale. We identified 15 members who are working in the Arusha region at the regional, district, facility, and community levels and will provide input on topics such as supply chain, data collection, service delivery, and community involvement to strengthen the development of BID Initiative interventions. The UAG meeting will meet on a monthly, in-person basis and may be contacted for inputs between meetings. Additionally, each member has a responsibility to act as a champion and share UAG meeting details and solutions with their user community and gather feedback from them. At the UAG’s inaugural meeting, which took place on the 3rd of July 2014, we collectively discussed what is expected from UAG members and the process of registering children into immunization registries. Having early participation from end users and/or anyone who is likely to be affected by the BID Initiative’s proposed solution helps to obtain “buy in” and bring broad perspectives to the design of solutions and interventions. As a result, we anticipate that BID’s solutions will reflect the realities that health workers face and create a sense of ownership. The UAG also allows us to provide continuous updates and ensure that end users feel that their voices are being heard. We look forward to working with the UAG members to design solutions that will improve data collection, quality, and use at all levels of the health system.